BLOOMINGTON, Minn. – Jan. 29, 2019 – Following Week 17 of the 2018-19 season, the women's Western Collegiate Hockey Association (WCHA) is proud to recognize four student-athletes as the WCHA Players of the Week, Powered by GoodWood Hockey. The honorees for games of Jan. 25-26 are: Minnesota sophomore Grace Zumwinkle (Forward) and freshman Emily Oden (Rookie) and Wisconsin juniors Mekenzie Steffen (Defenseman) and Kristen Campbell (Goaltender). Minnesota's Grace Zumwinkle tied for the WCHA lead with four points over the weekend and she tied with teammate Alex Woken for the WCHA lead in goals with three. Zumwinkle also lead the WCHA with 1.50 goals per game, 2.00 points per game, one power play goal, and two power play points. Zumwinkle recorded three points in Minnesota's game-one 7-2 win over Ohio State. Her two goals came on four shots on goal. She started the scoring with a power-play goal before extending Minnesota's lead to four at 5-1 with her 20th goal of the season in the second period. Zumwinkle tallied an assist on Nicole Schammel's power-play goal as well. 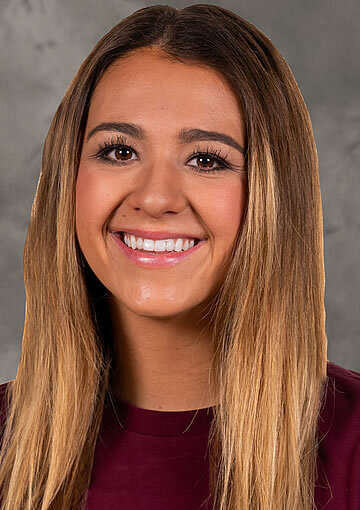 In game two, Zumwinkle helped the Gophers seal the sweep with a 7-1 win with her third goal of the weekend midway through the third period to put the Gophers up by six. Zumwinkle was on the ice for five of Minnesota's 14 goals in the series. Among NCAA forwards, Zumwinkle was tied for second with three goals and tied for fourth with four points over the weekend. Zumwinkle also helped Minnesota finish the weekend five-for-seven on the power play and seven-for-seven on the penalty kill. Honorable Mention: Paige Beebe, So., Bemidji State (tied for the team lead with three points on two goals and an assist to help the Beavers earn four points on the weekend); Brittyn Fleming, So., Minnesota State (recorded a goal and two assists with six shots on goal and a +2 rating); Sophie Shirley, Fr., Wisconsin (tied for the WCHA lead with four points last weekend; scored one of two UW goals six seconds apart on Friday to set a new school record). 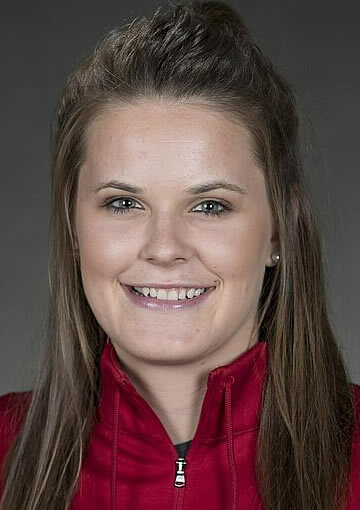 Wisconsin's Mekenzie Steffen scored a pair of goals to lead No. 1 UW to a 5-0 win over St. Cloud State on Friday night at LaBahn Arena. The defenseman scored in the final minute of the second period before adding a quick tally to begin the third period. It marked the first career multi-goal game of Steffen's collegiate career. Steffen's two goals were the most from a WCHA blueliner last weekend while her two points were tied for the lead among rear-guards. In addition, her dazzling +5 plus/minus rating was tied for the best mark by a WCHA skater and was the second-best mark in the country by a defenseman. Steffen also helped UW to a shutout in Friday's win while the Badger defense only allowed one goal on the weekend. Honorable Mention: Mak Langei, So., Bemidji State (Recorded two assists to tie for the WCHA weekend lead among blueliners and blocked six shots); Crystalyn Hengler, Fr., Minnesota (scored her first career goal and tied for the WCHA scoring lead among defensemen with a goal and an assist in the Gophers' sweep of Ohio State); Tristen Truax, So., Minnesota State (scored a goal and recorded six shots on goal, two blocked shots and a +2 rating). 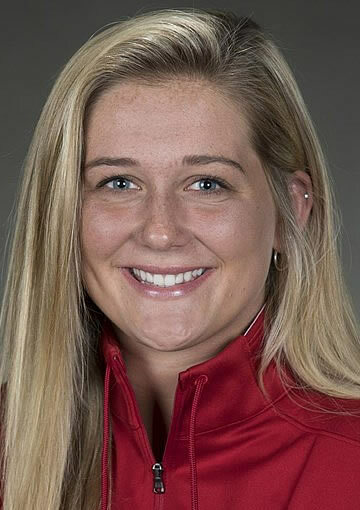 Wisconsin's Kristen Campbell was the only goaltender in the WCHA last weekend to earn a pair of wins as she backstopped UW to a sweep over St. Cloud State. Campbell picked up her fifth shutout of the year in UW's 5-0 win over St. Cloud State while she stopped 12 of the 13 shots she faced in UW's 3-1 win on Saturday. Her two wins on the weekend were tied for the most in the NCAA while her GAA of 0.50 was the sixth-best mark by a NCAA goaltender with at least two starts. Her GAA, save percentage, wins and shutouts were all league highs this past week. 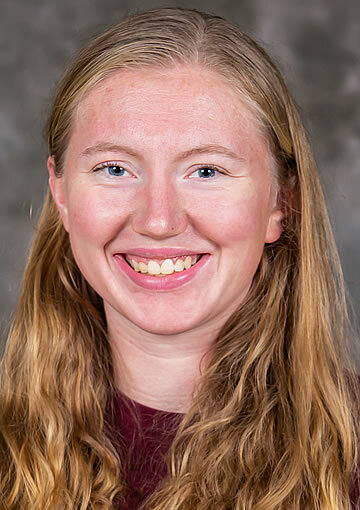 Honorable Mention: Sydney Scobee, Jr., Minnesota (stopped 21 of 22 shots in Minnesota's 7-1 win at Ohio State and posted a 1.17 goals against average and a .955 save percentage); Abigail Levy, Fr., Minnesota State (stopped 49 shots in two games against Bemidji State). Minnesota's Emily Oden recorded a career-high four points in Minnesota's 7-2 win over Ohio State on Friday with two goals and two assists. Oden set up both of Minnesota's power-play goals in game one, assisting Grace Zumwinkle's first goal of the game and Nicole Schammel's power-play tally in the first period. She also scored her first of two goals in the first period to give the Gophers a 4-0 lead after the opening 20 minutes of the game. Oden then added a second goal, her eighth of the season, to make it 7-2 late in the second period. Oden's two goals came on five shots on goal. For the series, Oden was on the ice for five of Minnesota's 14 goals in the two games. Game one was Oden's first career multi-assist game and second career multi-goal game. Her four-point effort marked a career game high and a new career series high. Oden led WCHA rookies with two goals, four points, 1.00 goals per game, 2.00 points per game, and two power-play points over the weekend. Among NCAA forwards, Oden was also tied for the scoring lead with four points and two power-play points. Oden helped the Gophers finish the weekend five-for-seven on the power play and seven-for-seven on the penalty kill. Honorable Mention: Graysen Myers, F, Bemidji State (scored her first career goal in Bemidji State's 5-2 win over Minnesota State); Brooke Bryant, F, Minnesota State (recorded a goal and two assists with five shots on goal over the weekend); Sophie Shirley, F, Wisconsin (tied for the WCHA lead with four points last weekend; scored one of two UW goals six seconds apart on Friday to set a new school record). Family owned and operated in Saint Paul, Minn., GoodWood Hockey is focused on providing unique, high quality, socially-responsible apparel to the growing hockey community. The only hockey-inspired clothing company that specializes in items for the entire family, GoodWood Hockey aims to become a household name in homes across North America through providing excellent products backed by exceptional customer service. Through their philanthropic division, GWH: Hockey for Good, the brand aims to provide support and solutions to global issues through a variety of charities and non-profit organizations. For more information, visit www.goodwoodhockey.com.